Save time making presentations and running analysis with easily available and fully customizable data exports. Every influencer profile and list is exportable to PowerPoint and PDF. 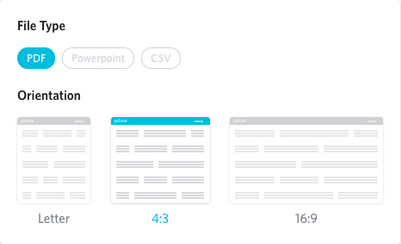 Add a logo and choose a color scheme to fit your data seamlessly into your presentation decks. Export influencer data, like search results, lists, and performance reports to CSV, for further permutation and analysis in excel or through an API integration. Evaluate your campaign’s success and return on investment with our intuitive and intelligently designed performance reporting suite. 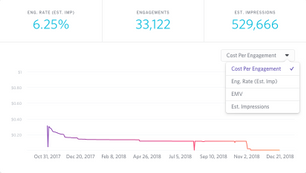 We provide the metrics you need to audit your campaign: engagement, estimated impressions, earned media value (EMV), and more. And, all metrics are exportable to PDF, PPT, or CSV. We give you all the metrics available so you can find what you need. Whether it’s cost per engagement, engagement rate, or earned media value, you have all the data at your disposal to evaluate your campaign. View campaign performance from any angle – from the entire campaign to individual platforms, influencers, or posts. Find the numbers you need to suit your reporting style. 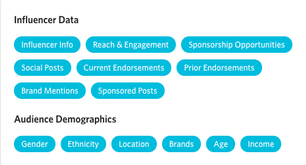 It’s never been easier to compare influencer and platform performance. Establish benchmarks, evaluate returns, and determine the best strategies for future campaigns. Share links to our reporting dashboard for quick access to your campaign data. Rather than exporting a report, choose the data you want to share, set viewing privileges, and expiration dates for your links.